This isn’t your mom’s Redemption meta, kids. It’s been over a year now since the dreaded Ardent Censer and Redemption meta was killed, buried, and forgotten. That’s the way players wanted it, though, because that meta was one of the most headbutt-a-wall boring metas League of Legends has ever seen in its decade of existence. The sad thing is, we’re only barely being melodramatic by saying that. Well, we have some bad news. The Redemption meta might be coming back. At least, it’s showing early signs of coming back. The Ardent Censer hasn’t made any significant ground, but the Redemption alone has been popping up more and more both in pro play and at the top of the solo queue ladder. There’s something odd going on this time, though, because it’s not really appearing more on supports—it’s being used in the jungle. On paper, it doesn’t really make sense. Building such a passive and support-style item on a champion like Olaf, who requires early steamrolling to be effective, doesn’t really check out. But still, pros are picking him on the big stage, and they’re building Redemption on him. High profile players are even starting to use the build in solo queue more and more, too, like Mike Yeung, Kang “Ambition” Chan-yong, and William “Meteos” Hartman. It’s just Olaf, Olaf, and more Olaf, and every time, it’s with a Redemption. The healing and shield power doesn’t actually help Olaf’s kit at all, as he doesn’t have any heals or shields equipped, but it does boost the self-heal he gains from his Smite. The build also calls for items that synergize with Redemption’s passive, like Locket of the Iron Solari. The idea is that building cheaper items allows Olaf to remain effective even through the lowered experience provided by camps after Patch 9.2, and it, in theory, keeps him effective later in the game when he normally falls off. There’s no doubt that it lowers his early effectiveness, but since his early power is so high already, he can take the hit and still be alright. Redemption is being built on other junglers often, too, like Nunu and Ivern. The passive works better with them, though, as they have abilities that are directly affected by it. Still, the idea is the same. Pump out crowd control early so it doesn’t matter that you’re sacrificing damage, and then hope that the regeneration and active ability provided by it support your team as you fall off later. It’s a good strategy, and it’s probably a direct result of the experience changes pushed in 9.2. If you’re the type of player that likes getting ahead of the curve, now’s the time to practice it, because this strategy is getting more popular by the day. 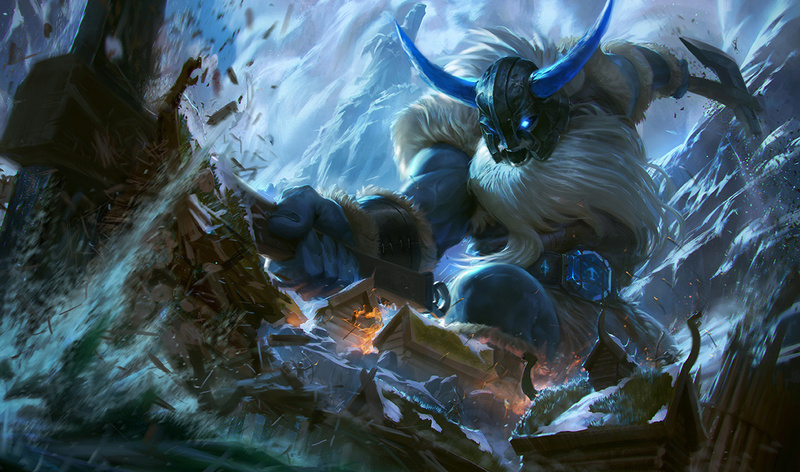 Head into a normal game, lock in Nunu or Olaf, and try the Redemption build.